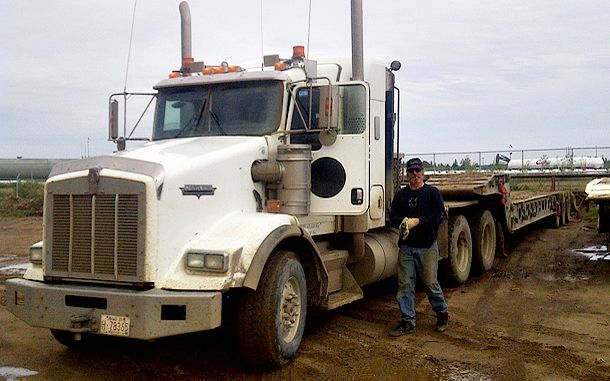 DB Kidd Transport Services was founded by Mark and Debbie Kidd in 1992 and specializes in the transportation of heavy equipment, rigs, gravel, water, camp and shack moves in Western Canada. Our company is located in Fort McMurray, Alberta, utilizing over 40 tractors and over 50 trailers designed to handle loads of different weight categories. DB Kidd Transport recognizes that our most important company resource is our customers. We take pride in raising the bar for customer satisfaction with fast, efficient and professional service, while holding a high standard of safety practices and procedures. We are also COR certified. When you contract DB Kidd Transport, you will receive courteous and professional service beginning with the first phone call. Throughout our relationship, rest assured that you’ll receive nothing but efficient, safe and reliable service.